[Rumplestiltskin] has had work done on his double-hung windows to help prevent drafts and keep them in good working order. But there are still a few that rattle, and let in the cold of winter. Not this year; he’s added a small feature to the jamb that will keep out the cold weather. A pair of jointing blocks were added to each window. 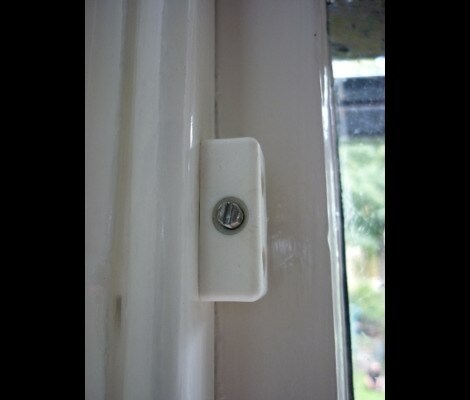 The small block seen above is attached to the window jam with a couple of all-purpose screws, and hosts a machine screw which points toward the window frame. Since there is weather stripping between the two window frames, and between the frame and the outer jamb, tightening this screw will snug the frames up to close any small gaps. This has the unintended consequence of prohibiting the window from being opened (unless you don’t mind scraping the paint as the machine screw slides across the wood). But if only used in the winter months this is a viable solution.